Directions: One Way Off Centre St. The ultimate hidden gem in plain sight! Absolutely serene, tranquil garden with mature landscape offering both sunny and shady spots to enjoy the outdoors. Inside this single family home, you will find a unique loft-like space with 9+ foot ceilings, antique wide pine flooring, a cast iron wood burning fireplace, gas cooking and a spacious, renovated bath. This is a most fabulous place to entertain in any season! Separate utility room includes the boiler, hot water heater (both gas fueled) and full size laundry. 1 off street parking spot. 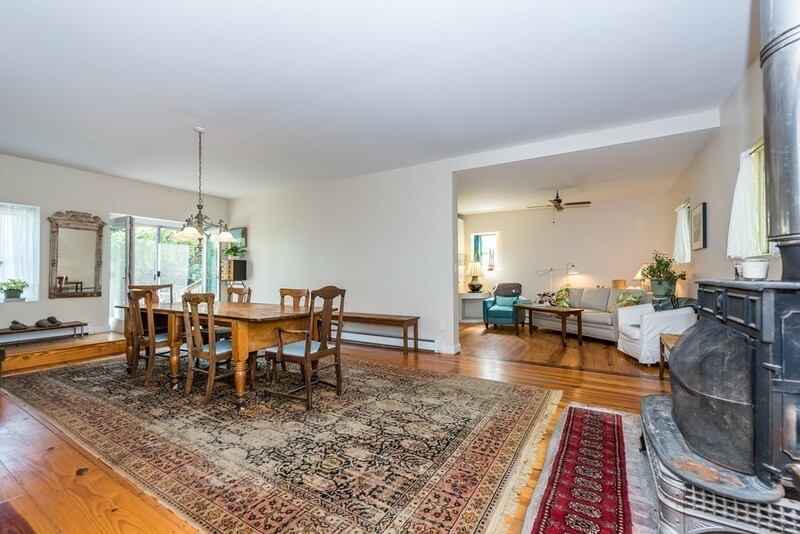 A+ location proximate to JP Centre, Jamaica Pond, Arnold Arboretum, Green Street T Stop (orange line), SouthWest Corridor Park, ENDLESS dining-coffee-shopping destinations all within 5 minute stroll! AS-IS SALE. NO SHOWINGS UNTIL OPEN HOUSES THURS & FRI 4:30-6pm, SAT 5/12, 12-2 & MONDAY 5/13, 4:30-6pm. OFFERS DUE BY 2PM TUESDAY, 5/14.